Stick a cheap mud flap behind your TV, and get free content from CBS, NBC, ABC, Fox, and your local PBS station (made possible by viewers like you)! 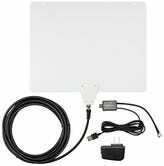 That’s the promise of HDTV antennas, and for the most part, it’s true! It’s the best deal in entertainment. But unless you live in just the right location, and unless your TV is in just the right spot in your house, it’s probably not quite that simple. Unlike old analog TV signals that you’d pull in with rabbit ears, a weak digital signal won’t give you a “good enough” picture with a bit of static. You’ll either see crystal clear 1080p, a black screen, or a signal that cuts in and out at random, seemingly based on the direction of the wind and the whether Mercury is in retrograde. And since the transmitters for your local stations are usually located in different parts of your city, you’ll probably struggle to find a single location for your omnidirectional, leaf-style antenna that can reliably pick up every network. That’s been the case for me in three different cities of varying sizes, but I’ve found a pretty solid solution in the form of 3M Command Strips. In my experience, moving a leaf antenna even a few inches can have a dramatic effect on your signal strength. One slight adjustment is often the difference between having no picture at all when tuned to ABC, and having a reliable way to watch Bachelor in Paradise with the best possible picture quality. But alas, moving the antenna a few inches for ABC might break your signal with CBS. No The Price Is Right for you! A few years ago, I had some Velcro-like 3M Command picture hanging strips left over after hanging art, and realized they were perfect for this problem. I used my TV’s built-in signal strength tool (any TV with a tuner should have some option like this buried in its settings) and a lot of trial and error to identify two antenna locations, that between them, had a reliable signal for every local channel. 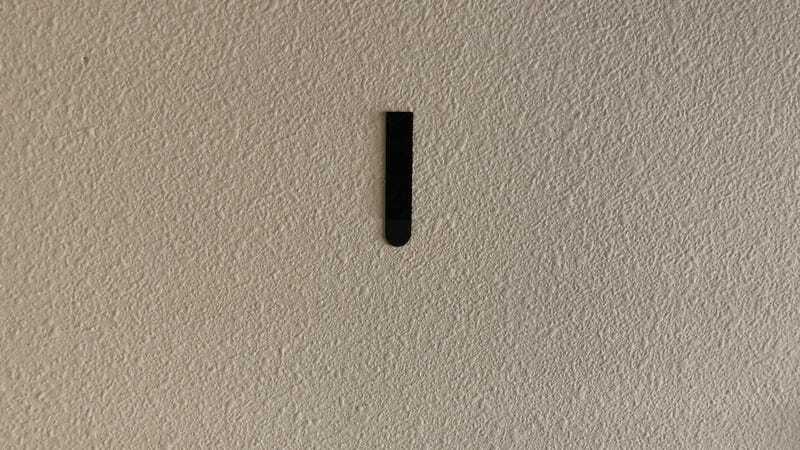 I marked those spots with a pencil, then placed a couple of command strips on the walls, plus a third on the back of the antenna, allowing me to quickly stick it to either spot. Barring any macro changes to my city’s OTA TV signal environment, I know that between those two antenna locations, I can get every channel reliably. I don’t have to guess where to put the antenna, I don’t have to wave it around until a picture comes through, and I don’t have to keep finding tape to hold it in place. Hell, I usually don’t even remember which channels work with which locations; I just know that if I see a black screen, I just have to swap antenna locations, which requires about four seconds, and zero thought. 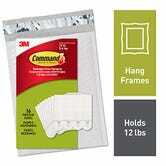 Anyway, 3M Command Strips are great, and you should use them whether you need them for an antenna or not. I use them to hang up basically all of my art, and even heavier stuff like a mirror. And unlike nails, they leave no damage on the wall. I wholeheartedly recommend them for almost all of your hanging needs, but particularly this one.